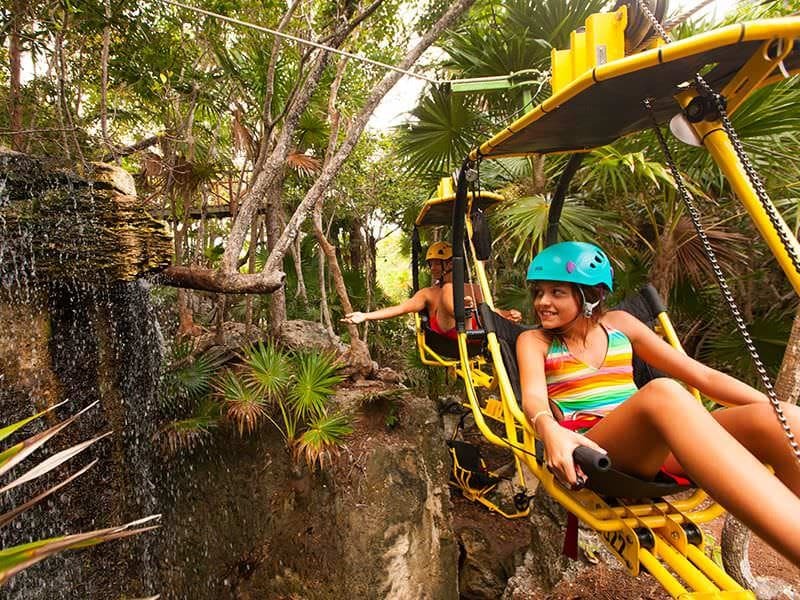 Discover a new way of exploring the jungle of the Riviera Maya! 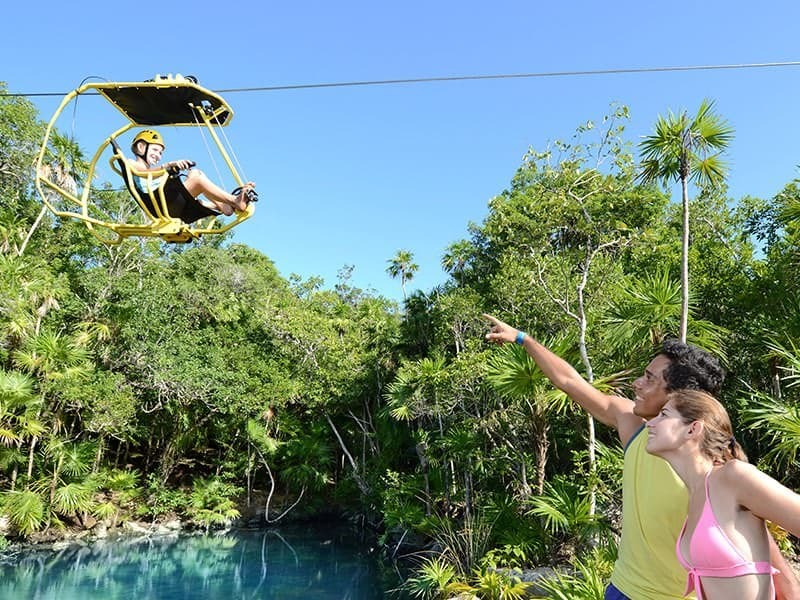 Zip-Bike is a fun combination of bikes and zip-lines that allows you to cycle above the treetops admiring the beauty of the forest and the animals that inhabit it. 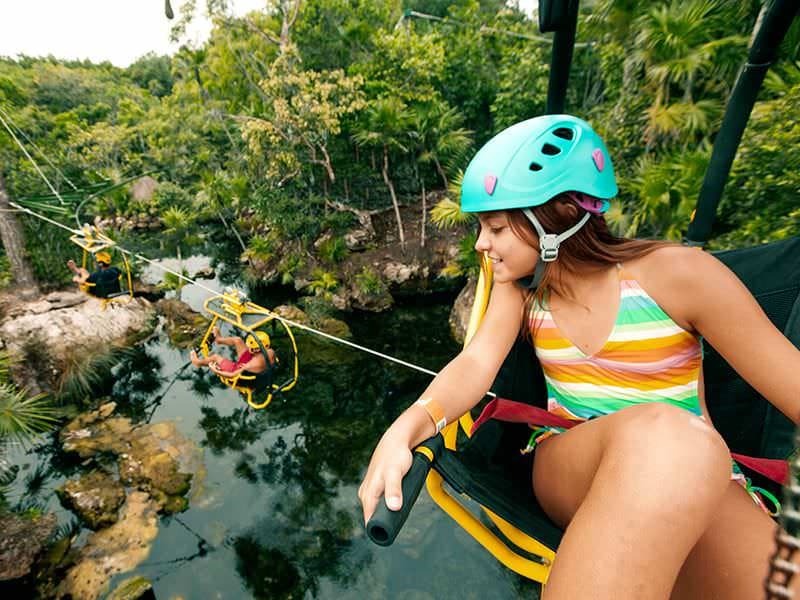 You will fly over cenotes and pass through the caves of Xel-Há. Discover all the magic and splendor of nature cycling at a maximum height of 7 meters for 30 minutes. A route of 500 meters in which you can observe from the heights the virgin landscapes that the ancient maya dominated for centuries. Use of locker during the activity. Hours: from 10:00 a.m. to 4:30 p.m. (every 30 minutes).